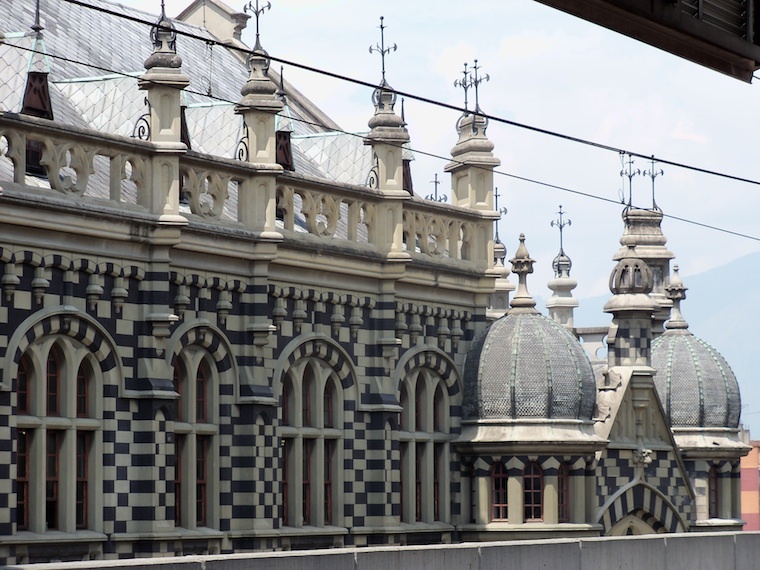 Medellín: Perched in a mountain valley 1500 metres above sea level, the capital of Antioquia department, home to the paisas, is known as the City of Eternal Spring for its year-round pleasant climate. Unfortunately, we arrive after an unheard-of 3-months’ downpour, which continues unabated for the duration of our stay. This is not a city for sightseers though. It is that very rare thing: a modern, clean, functioning metropolis of 3.5 million people with a smart, efficient metro system, pelican crossings and safe, metered taxis. After 7 months in the continent, we appreciate such things more than most and spend our days relaxing in our sparklingly clean hostel, catching up on laundry and shopping for essentials. 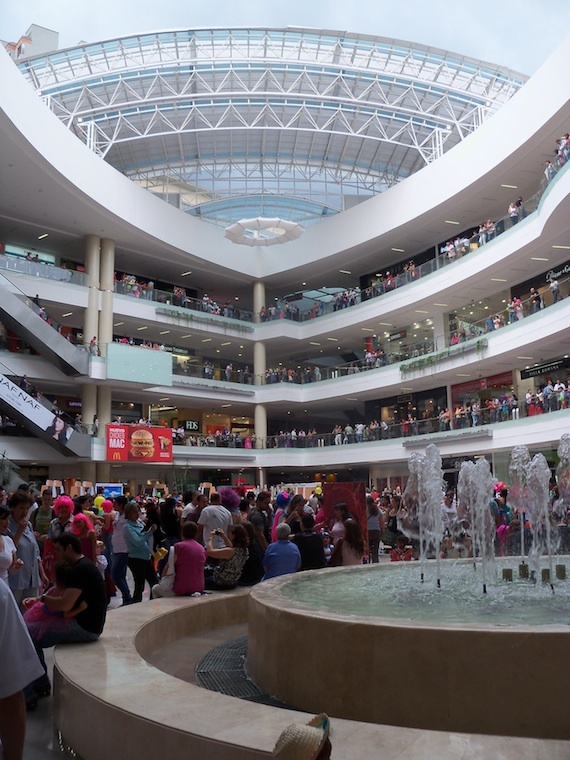 Our local shopping mall is a vision of the future – a gleaming edifice to 21st-century consumerism, where the security guards glide around on segways, the price tags are electronic LCDs, fountain and light shows decorate the centre, and bands entertain shoppers. 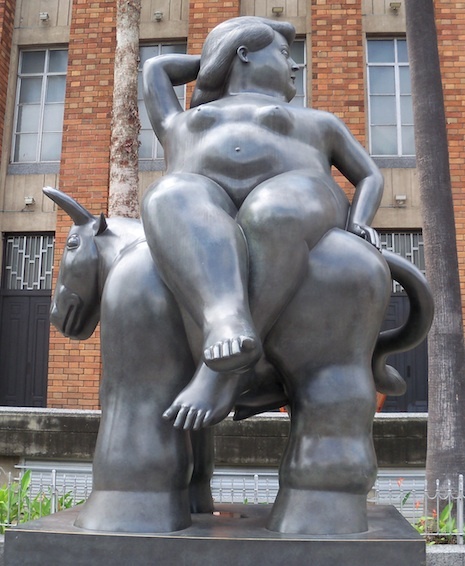 It is, in short, a Colombian’s ideal family day out. Lewisham shopping centre it aint. 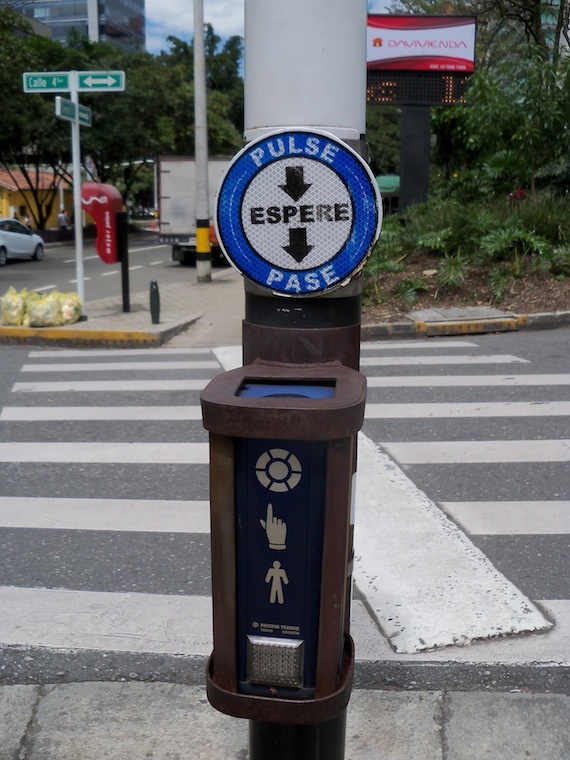 This smart, very liveable city is unusual for South America, but for Medellín, it’s nothing short of a miracle. In less than a decade, the city has been transformed from the world’s murder capital to one of its safest. It’s an inspiring example of how no-go areas of violence and terror can be turned around using good local planning, intelligent governance and investment in infrastructure. Plus, the use of controversial police tactics to rid the city of its notorious drug gangs. 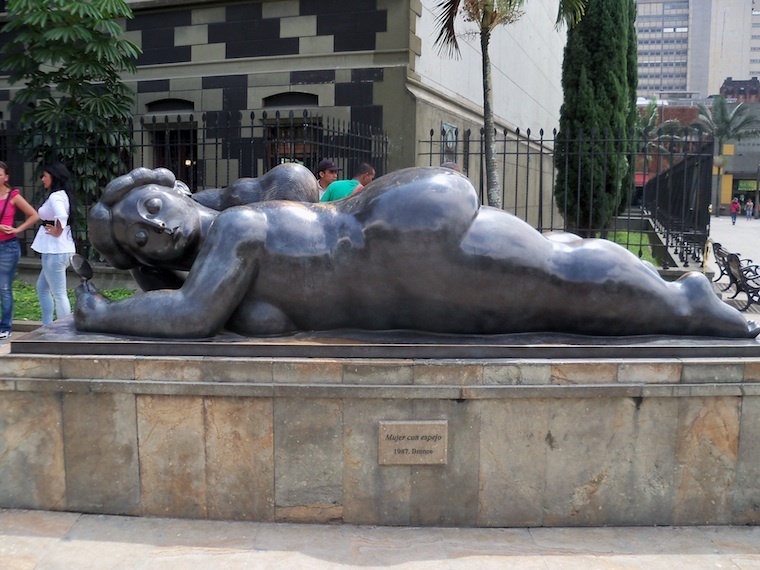 In the 1990s, Medellín was the headquarters of the international cocaine trade, lorded over by the notorious Pablo Escobar, a man so rich that he once offered to pay off Colombia’s $10 billion national debt. Stories about Escobar’s phenomenal wealth are many – some here regard him as a hero because of his donations to the poor, and the Catholic Church liked him because Escobar liked to build churches – and include his payments to hitmen of $1000 per cop killed, that he once burned $2 million in cash to keep warm while on the run, and that he spent $1000 a week on elastic bands to wrap his stacks of cash, writing off 10% in notes nibbled by rats in the warehouses where he kept his bundles of $100 bills. Despite his church-building ways, Escobar was a ruthless murderer, paranoid and violent. 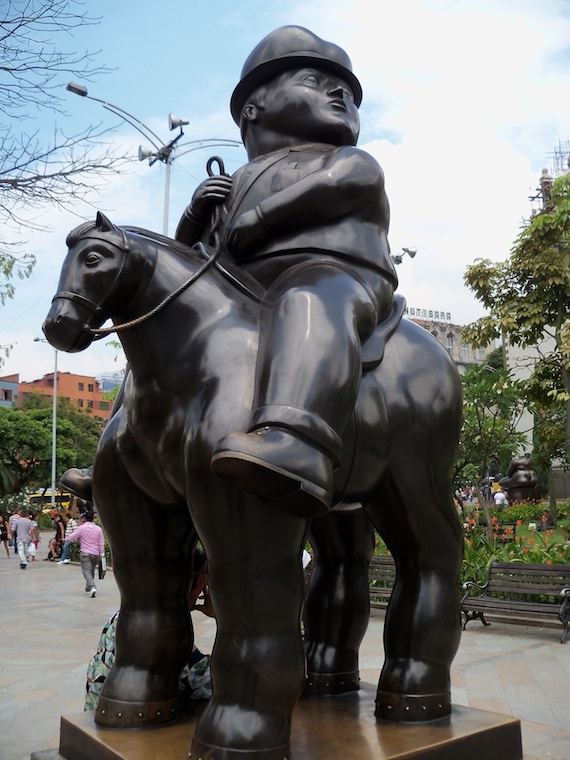 At the height of his reign of terror, there were more than 27,000 murders a single year in Medellín. 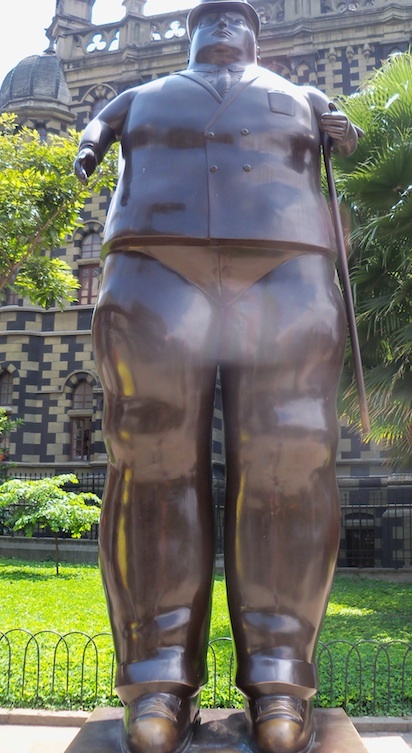 In December 1993, after a right-wing paramilitary operation financed by the US to rid the city of Escobar and his associates – more than 300 were killed – Colombian police finally shot the man himself dead. 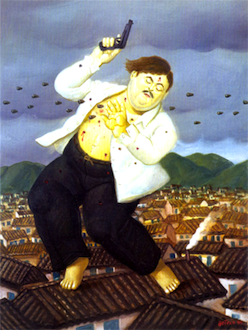 Escobar’s successors were killed a few years later in the mid-90s. The city was transformed through massive investment in infrastructure, including clever transport planning that links the poorest slums with the rich downtown areas, using an affordable metro system with metro-cable cars that ride up to the most impoverished areas. New brick and concrete housing has also been built to rehouse those living in terrible conditions in the city’s slums. Canals and parks have been built, the streets are cleaned and drain ditches maintained. Skyscrapers pierce the heavens at a faster rate than any other city in the continent. It’s booming. There are plenty of poor, still. The slum areas are still evident, destitute alcoholics can be found sprawled in doorways in the city centre and the disparity between rich and poor couldn’t be more obvious. But it’s surely a start. 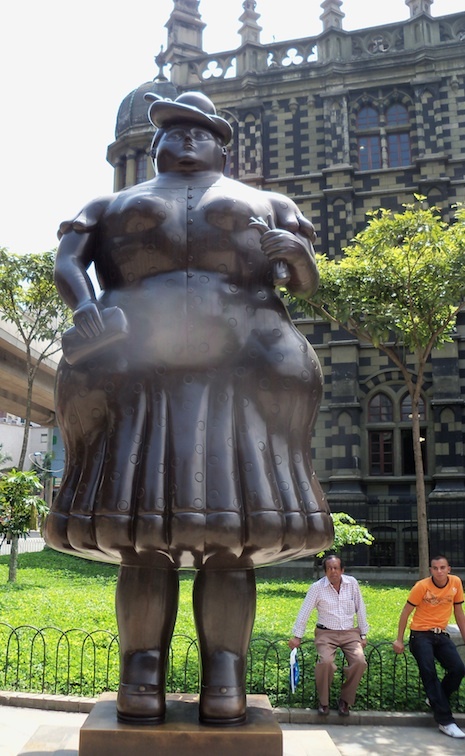 The city’s second-most famous son is the artist Fernando Botero, a painter and sculptor in the style of Beryl Cook, whose works are displayed in a square in the centre.